Like so many of its zombies throughout the years, “The Walking Dead” ratings just got chopped in half. 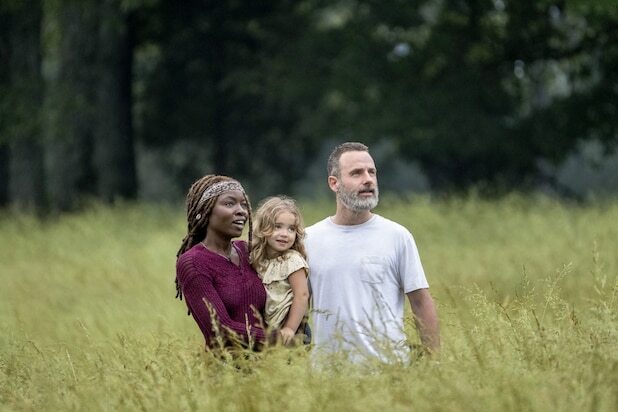 Sunday’s Season 9 premiere of the hit AMC drama drew 6.1 million total viewers, with 3.2 million of those coming from the advertiser-coveted 18-49 demographic. That’s down 23 percent overall from the Season 8 finale and 27 percent in the key demo. Worse yet, the demo tally is less than half the 6.5 million that tuned in “live” to see the Season 8 premiere. The comparable episode last year hauled in 11.4 million total viewers, according to Nielsen’s Live + Same Day ratings. Unfortunately, the show’s October 2017 start was already down 35 percent versus its own predecessor. So, yeah, none of this is good. Still, “The Walking Dead” Season 9 premiere was popular enough to make it the No. 1 cable show thus far this season among adults 18-49. It’s the seventh-straight season that claim holds true. Sunday’s episode brought in enough viewers of the all-important age range to make it No. 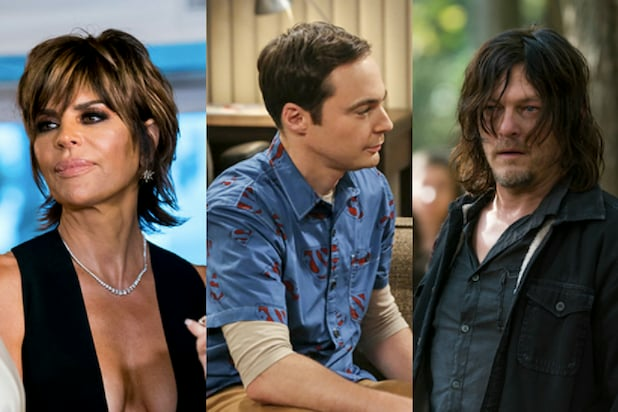 2 on all of TV for this young 2018-19 Nielsen season, sitting behind just “This Is Us.” And “The Walking Dead” is not alone in its woes: Pretty much all of television’s top shows are down double digits year over year. That’s just the trend of appointment TV viewing. Some more silver (maybe bronze) lining: AMC made the Season 9 premiere available on streaming service AMC Premiere 24 hours before its linear airing. The move drove the single highest day of new sign-ups in the history of AMC Premiere, the company’s commercial-free upgrade option. AMC deals in Live + 3 Day ratings, which will be available on Friday and paint a more complete picture. ‘Walking Dead': Are Maggie and Daryl Still Planning to Turn Against Rick?